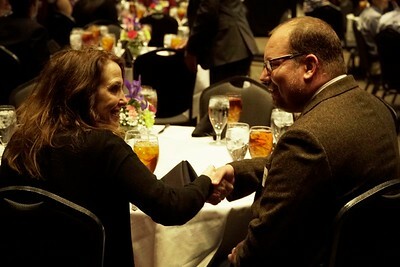 Dr. Sandy Mankins, Assistant Professor of Accounting, and Matthew Duffus greet eachother at the Who’s Who event held in Hope Hall on the Gardner Webb campus. 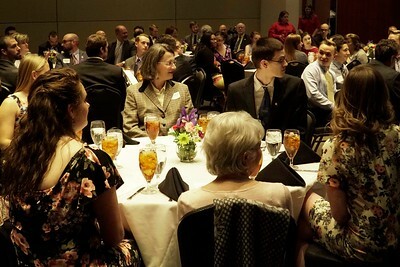 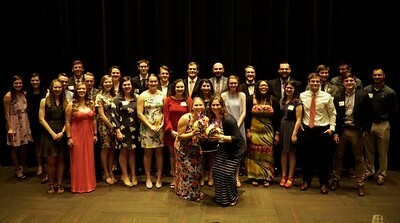 GWU honor seniors and their selected, inspired faculty members gather for the Who’s Who event in Hope Hall Wednesday evening. 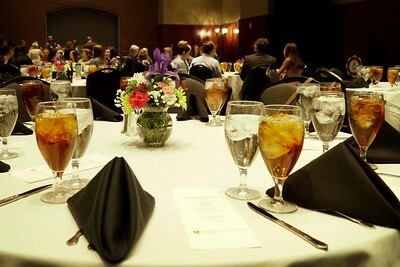 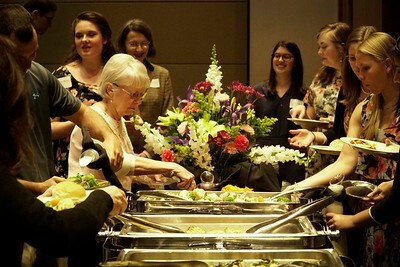 Who’s Who event held Wednesday evening in Hope Hall of the Tucker student center. 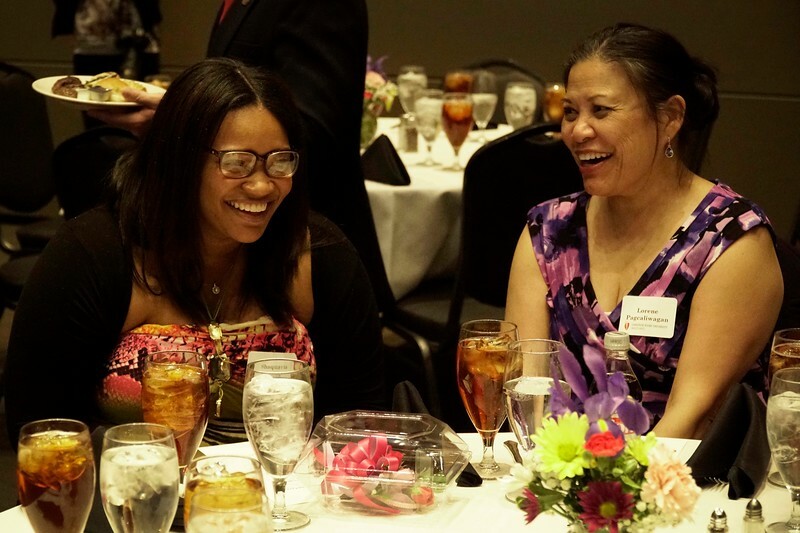 Shaquavia Chiles (left) and her chosen guest, Professor Lorene Pagcaliwagan, converse at the Who’s Who event Wednesday evening. 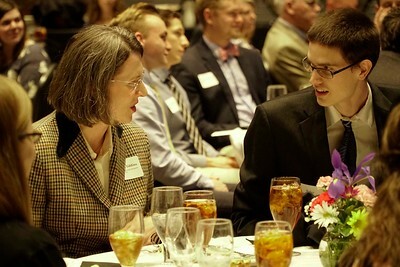 Stefka Eddins and Tyler Hemingway converse at the Who’s Who event Wednesday evening. 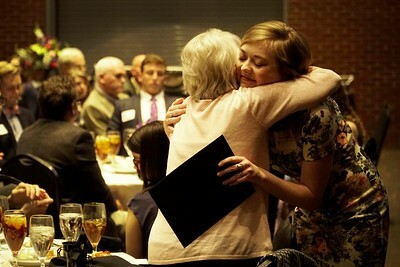 Mallory Moore hugs her chosen faculty member that made the greatest impact during her time at GWU, June Hobbs. 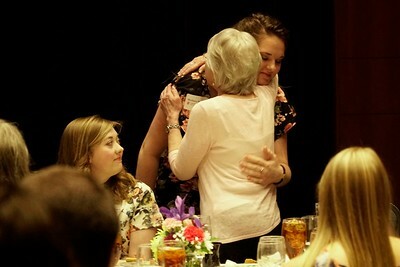 Hannah Ray hugs her chosen faculty member that made the greatest impact during her time at GWU, June Hobbs.